Want it to be the Christmas break already? Well, looking at cruise itineraries might help the time move faster. We’ve avoided doing work all morning! 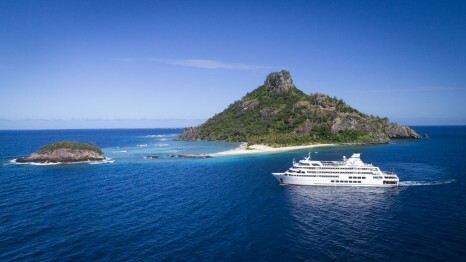 Three nights free on seven-night Fiji cruises!!! Captain Cook Cruises Fiji’s seven-night itineraries include the Mamanuca and Yasawa Islands cruise which departs every Tuesday and Saturday and the Four Cultures Discovery cruise and Colonial Discovery cruise which depart once a month on alternate months. 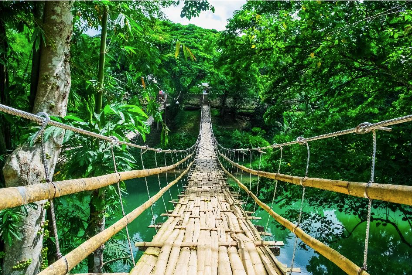 The seven nights Four Cultures Discovery cruise circumnavigates Vanua Levu, Fiji’s second largest island and visits four distinctive Fijian cultures including Ellice Islanders (Polynesians), Banabans (Micronesia), Fijians and Indians. The cruise visits the islands of Kioa, Rabi, Labasa Town, Kia Island and the world’s third longest barrier reef, “The Great Sea Reef”. 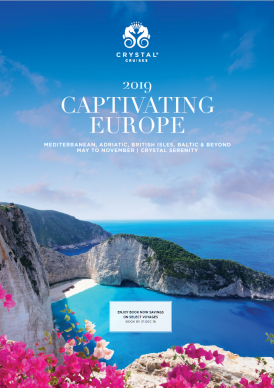 Crystal Cruises has released a new 15-page brochure featuring a selection of enriching European voyages on the newly refurbished Crystal Serenity. From the ancient Mediterranean coastline to fairytale-like castles on the shores of the Baltic Sea, the islands, kingdoms, romance and treasures of Europe await. Crystal’s all-inclusive luxury, six-star service and specialty dining restaurants, including Umi Uma, the only Nobu restaurant at sea, and Prego fine Italian, is the perfect way to discover the Greek Isles, the French Riveria, Amalfi Coast and the Norwegian Sea – to name just a few of the regions explored on Crystal Serenity in 2019. MSC Cruises, the brand market leader in Europe, South America and the Arabian Peninsula has launched their latest promotion- Drinks are on Us! Savour a morning coffee, a cocktail by the pool or a glass of wine with dinner, with MSC Cruises you’ll enjoy a drinks package included in your cruise! Book an inside, oceanview or balcony cabin for ‘Easy Drinks’ package included in your cruise for you and your cruise partner. With a dedicated selection of wines, draught beer, spirits and cocktails, soft drinks, water, coffees and chocolate delights, you can enjoy ‘Drinks on Us’ in all onboard bars, restaurants and buffet*. Not including specialty restaurants. Or book an Aurea Suite or the exclusive Yacht Club and receive $150 onboard credit for you and your cruise partner! Drinks on Us is available on selected departures from April 2019. Spring is perfect for cruising the Mediterranean. Colourful flowers everywhere, climbing walls, filling fields and sprouting on balconies, it seems there are blooms everywhere you look in this stunning region. And, there is nowhere else where you can cruise to so many different countries and sample its many flavours, cultures and re-trace the footsteps of history. Just in time for Christmas, Silversea Cruises is offering guests a 10 per cent special single supplement on selected cruises, available on bookings made before 20 December 2018. This special festive offer applies to a selection of cruises in Asia on board Silver Muse and Silver Discoverer. As part of this Festive Fare Event, guests will also receive US$1,000 onboard credit per suite, an extra five per cent off the fare per person, and one-category suite upgrade when booking before 20 December 2018. Season starting February 17, 2019. The Princess OceanMedallion, included complimentary, is a wearable device that elevates the guest experience by delivering enhanced experiences and personalised service resulting in high guest satisfaction scores. Viking’s fifth ocean ship, Viking Orion, arrived in Darwin today for the very first time — and travel agents can’t wait to get on board. As part of Viking’s popular Komodo & the Australian Coast Bali to Sydney itinerary, Viking Orion is currently docked in Darwin. She will then continue on to a selection of other iconic Australian destinations including Cairns, Townsville, Brisbane and Newcastle before reaching her Australian home port Sydney on December 16. 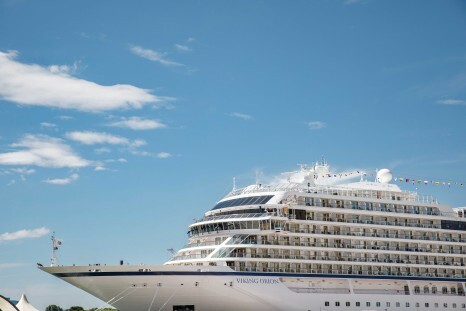 Viking will be hosting a number of ship inspections across Australia and New Zealand and travel agents are clearly keen to get an exclusive look at Viking Orion with over 3,000 having already registered their interest. From December 16, Viking Orion will spend three months sailing between Sydney and Auckland on Viking’s new Australia & New Zealand cruise route before heading north and recommencing the Komodo & the Australian Coast itinerary in early March 2019. MSC Cruises, the Swiss-based world’s largest privately-owned cruise company and market leader in Europe, South America and the Arabian Peninsula, revealed today that its upcoming 2019 World Cruise will feature an all-star cast of uniquely international chefs sure to make for an one-of-a-kind gourmet dining experience while on board. 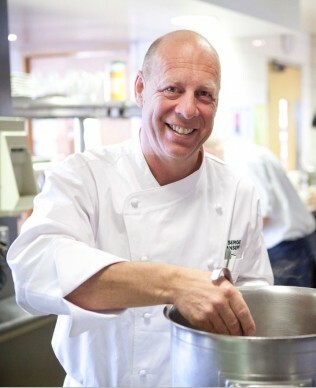 This includes current as well as former three-, two- and one-star Michelin chefs, chefs of the year, award-winning cookbook authors as well as recipients of other international culinary recognition.